Hot And Sour Shrimps recipe by Mariam at PakiRecipes.com. 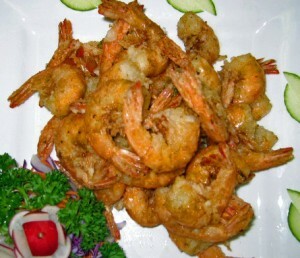 This hot and sour shrimp recipe provides lots of tangy taste and depth of flavor, a wonderful stir-fried seafood dish that is perfect for any night of the week. For a special treat, serve this dish with coconut or plain rice. Slice and fry the onions in the oil till done. Add the ground masala and fry till the oil begins to seperate. Now add the shrimps and salt and some water and simmer for a while. Bring to a boil. Add more vinegar if required and boil till done. Eat with plain white or coconut rice.